Point of view signifies the way a story gets told-the mode (or modes) established by an author by means of which the reader is presented with the characters, dialogue, actions, setting, and events, which constitute the narrative in a work of fiction. It is manifested in the person who tells the story a person who may be either the author himself speaking in his own voice or a fictional voice created by the author. The analysis of point of view attempts to identify the voice to determine the qualities and characteristics of the speaker behind it, and also to determine the relationship between speaker and the narrative or argument: Henry James's Preface to his various novels made point of view of the most prominent and persistent concerns in modern treatment of the art of prose fiction: -James, who regarded the novel as a work of art and was therefore greatly concerned with questions of technique, always deplored the formlessness of omniscient narrative. Also, he rejected the first-person narrative because of "the terrible fluidity of self-relative" it entails. Thus, he originated a new concept of narrative point of view which he called "The Central Consciousness." It is the perceiving mind and eye of one of the characters involved in the novel - Kate, Dencher, and especially Milly. The story is thus one of gradual revelation and the reader becomes involved not in the events themselves, but in the characters' consciousness of them. 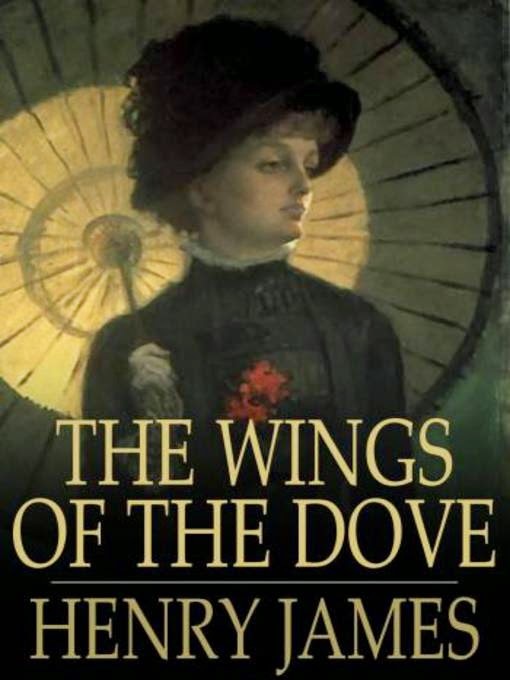 In "The Wings of the Dove," the omniscient point of view dominates the characters' subjectives point of view and remains consistent till the end. This is because the characters themselves rarely speak and James has to do all the talking through his own persons. This omniscient point of view proves to be reliable since whatever we are told is revealed through the characters' verbal and physical actions. This novel is the story of the European experience of America. The American side is represented by the character (Milly Theale) who is exposed to the European society with its shallow, superficial, and materialistic people. Milly can't be other than a unitary manifestation-a focal point. Her qualities are revealed clearly in interview, with Kate Croy, Lord, Mark, and finally with Merton Dencher. To the narrator, as well as to the characters, Milly is a "poor American girl." She looms on the consciousness of the other persons as an image of the moral beauty, strikes them as conscience, and teaches them a new possible, impossible mode of love in which conscience and moral beauty are joined. Aunt Maud worships the very air she breathes, and is genuinely stricken when she hears of the death of the poor "mon-eyed darling". Kate Croy is genuinely enchanted with Milly. According to Kate, Milly is identified primarily with her fortune. To Dencher, she is the "little American girl" and he treats her with the tenderest deference. Lord Mark regards Milly at the dinner party as an American object to be taken"irreclaimably for granted." Milly Theale's English friends touch upon the subject of what they call her good luck. Her "good luck" is simply her money, which they desire, and this is one of the characteristic features of the English of that class. At the beginning Milly knows nothing of these material pressures: her innocence springs from a fatal ignorance of the complex world of Lancaster Gate. But as the story advances, she acquires her knowledge in the most incidental flashes. In fact, the characters' point of view towards Milly can determine the metaphorical space which is an aspect of the style. For example, the word "Dove", which is a central metaphor, is a symbol. It is introduced not through an omniscient point of view, but through a subjective point of view, that of Dencher. This is his initial subjective perception of Milly, what James is doing that he is giving the chance to language to functioning this particular manner. The character who introduces the dove is capable of evaluating his perception of the world, and he is also capable of transforming perception of Metaphor. Also Kate, in her chats with Milly, goes so far in "her own shades of familiarity" as to use the endearment "duck". Under such pet's names, Milly is petted, patronized, and manipulated. In this case, Kate and Dencher become identical in their perception of Milly and their transformation of her into a symbol. However, Milly views her English friends with a look of intelligence despite their shallow and superficial appearance. Milly says that Kate "lets herself go, in irony, in confidence, in extravagance" on those qualities of the American Mind. Milly follows it, and participates in it, with intelligence, an appreciation of all Kate's finest shades of veracity. It seems that Milly's point of view determines the language she employs. Her description of Kate is her perception of her. In fact, it is intended to illuminate the complexities of Kate's own nature (her boldness and audacity) and to show that she is Milly Theale's American ignorance and innocence that in the first instance expose her to the destructive power of Lancaster Gate. Milly is also aware of Dencher's indifference to her. By the time Dencher returns from America, she meets him and recognizes both how much she "likes" him and how much she regrets that he should share "the view" of her: "she could have dreamed of his not having the view, of his having something or other of his own." Then Milly becomes fully conscious of her own ultimate solitude amidst the buzz of admiration and adulation of the Lancaster Gate circle. It is this knowledge that adds the last intolerable weight to the burden of her self-consciousness. From this terror of Milly Theale's condition, all the characters withdraw. They are intelligent, but not intelligent enough to know what such a condition means. In conclusion, by employing a number of points of view, James gives us the chance to see revelations about characters and their motivations without making any personal claim, but rather leaving the subject under discussion to the reader's intelligence without disconcerting appeals to his emotion which enables him to achieve a certain degree of objectivity and to assert the importance of point of view in determining style and language. He desired to be absent from his creation, yet deep down he knows that he is present on every page. "The Wings of the Dove" holds a symbol of Jamesian consciousness, a symbol as moving as it is inclusive. When the dove dies, she is gathered up into James's own consciousness. Milly's fate and her forgiveness, hidden from us as they are, are deeply moving, but they remain humanly subject to what James called "variations of interpretation".